Here at Alex and Alexa we love exploring new techniques to incorporate a more eco-friendly lifestyle into our day-to-day lives, which is why we are so happy to interview Alicia of Botanical Threads. Alicia has a passion for botanical dyes and lives in a beautiful idyllic little town in the Wiltshire countryside with her husband Wayne. They are expecting their first baby in the autumn. 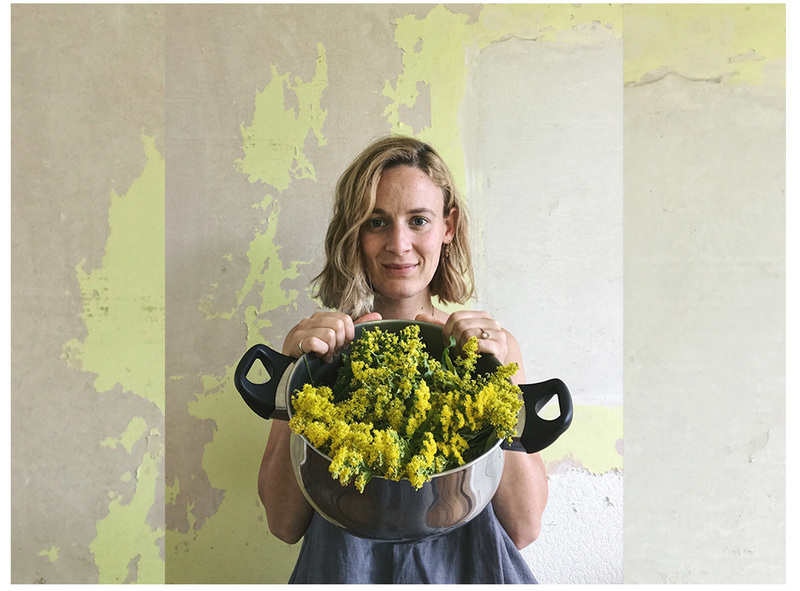 She started her business Botanical Threads in 2016 after reading about plant dyeing in a horticulture book while she was working as a gardener for the National Trust. 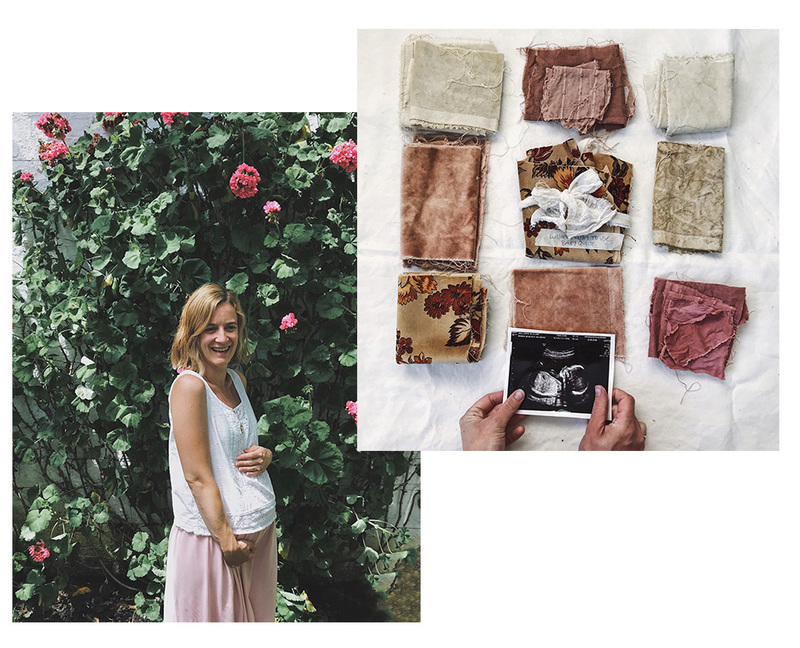 You can find her on Instagram where she shares her plant dying experiments, baby bump updates and life in the English countryside. CONGRATULATIONS ON YOUR PREGNANCY! 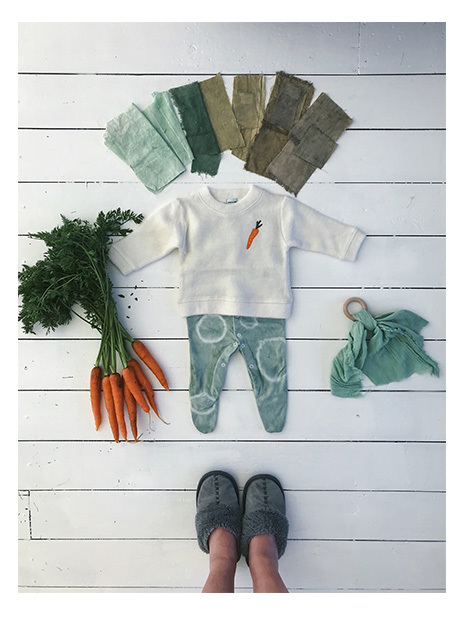 HOW WILL YOUR LITTLE ONE BENEFIT FROM PLANT DYEING? Thank you! I’m really passionate about plants and nature so I hope to be able to share this with my little one as he gets older. I love the idea of giving him his own area of the garden to grow dye plants (as well as herbs and vegetables) so I can teach him how the plants can dye fabrics. I’ve already dyed quite a few pieces of clothing for him and I really love the fact that I can dress him in them knowing that he is wearing something that nobody else has. I’ve been collecting quite a few really lovely white and cream coloured knitwear pieces, which I think look just gorgeous with the plant-dyed colours. I’ve also made a leaf-shaped play mat (dyed green from chlorophyll extract from leaves) and I am halfway through making a rainbow coloured quilt from lots of scraps of fabric that I’ve dyed over the past few years. I’m really passionate about plants and nature so I hope to be able to share this with my little one as he gets older. I love the idea of giving him his own area of the garden to grow dye plants (as well as herbs and vegetables) so I can teach him how the plants can dye fabrics. 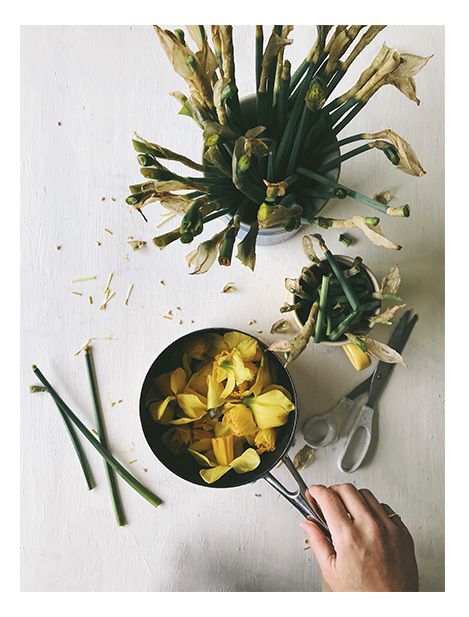 CAN YOU TELL US MORE ABOUT PLANT DYEING AND WHY YOU STARTED BOTANICAL THREADS? I originally studied fashion design at university and after working in a few jobs that I didn’t really enjoy, I ended up working as a gardener for the National Trust. When I discovered plant dyeing I just knew that I had found my calling – it brought together my passion for plants and fabrics perfectly. 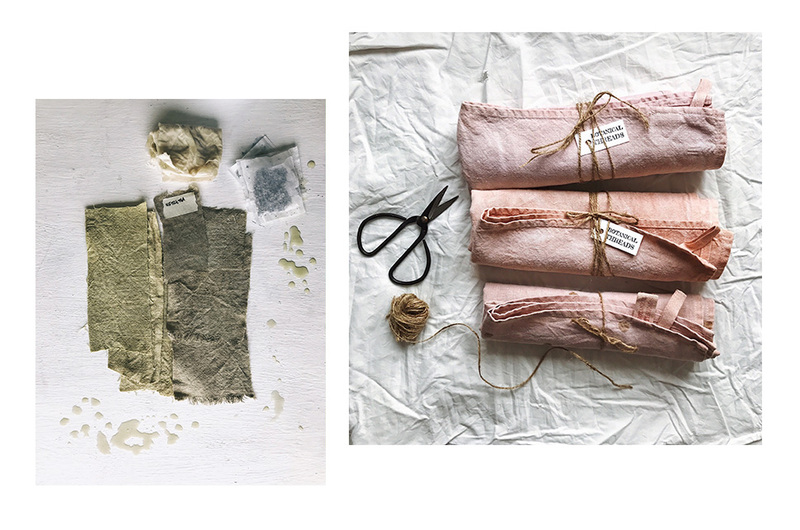 I spent quite a few months experimenting with plant dyes and documenting them on Instagram until someone sent me a message asking if they could buy something that I’d made. It was only then that I thought about trying to make a living from this new passion of mine. A few years later and I’ve written several ebooks to help teach other people about how amazing plant dyeing is, as well as selling lots of plant dyed things that I’ve made. WHAT DO YOU LOVE MOST ABOUT IT AND WHAT ARE THE POSITIVE IMPACTS ON EARTH? One of the things that I love about plant dyeing is that it makes me look at plants in a different way. When I go for walks in the countryside and spot a plant I think about it differently now: I wonder if it makes a colour and if the colour could come from the flowers or the leaves. I am constantly taking home little pieces of plant to test out. I also love that plant dye colours seem to have something magical about them, which makes them all match and look beautiful together. There’s also a certain something about plant-dyed colours that just simply can’t be reproduced using modern day synthetic dyes. There are a few different ways to extract the colours from plants and dye the fabrics, but the method that I use is completely chemical free and safe to do. 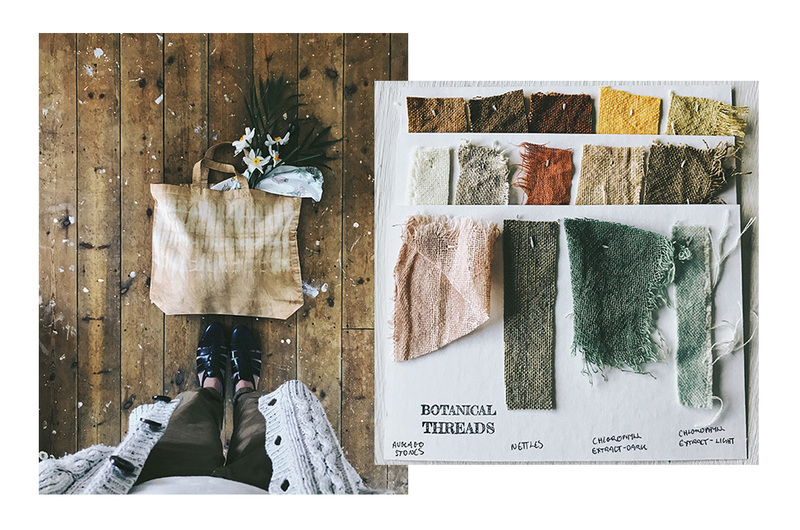 It has always been really important to me to keep the whole plant dyeing process as natural as possible, meaning no chemicals and using organic fabrics wherever possible. 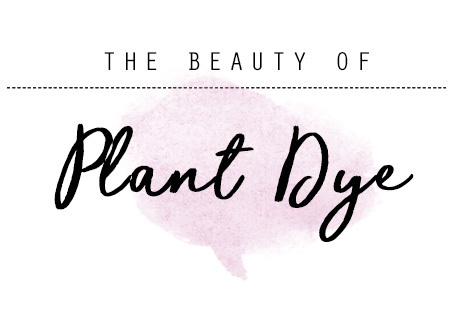 One of the really great things about plant dyes is that any leftover dye can be safely poured onto the garden (compared to commercial synthetic dyes which quite often need to be treated before they can be safely disposed of) and the plants that are used to make the dyes can be composted. WHEN DID YOU FIRST GET INTO SUSTAINABLE FASHION? I first began to think more about sustainable fashion when I studied at university. I had less money to spend on throw away fast fashion and began to invest my money better quality pieces that would last. I’ve continued this when buying things for my baby: I’ve tried to buy a lot of things that are handmade by other small businesses on Instagram and bought things that are unisex, timeless and well made…meaning that they could be passed down to my grandchildren eventually. WHAT ARE YOUR FAVOURITE PLANTS & DYES TO WORK WITH? There are so many to choose from! I really love dyeing with buddleia flowers as they make a gorgeous golden sunshine yellow dye, which I think is amazing as it comes from bright purple flowers. I also like working with chlorophyll extract as it makes a gorgeous range of different greens, from mint green to a deep rich emerald green, depending on how concentrated the dye is. I find that as the days get colder and I’m going outside less that I turn to things that I can find in my house to make dyes with. Kitchen scraps like pomegranate skins, avocado stones and carrot tops really come into their own, producing yellow, pink and green colours. WHAT ARE THE BEST FABRICS FOR PLANT DYEING? Natural dyes work best on natural fabrics so things like linen and cotton dye really well. Due to the natural protein in them, wool and silk normally give the best results with plant dyes, resulting in lovely vivid colours – though you do have to be a little more careful when dyeing them to make sure that the wool doesn’t felt or the silk doesn’t shrink. DO YOU THINK LIVING IN THE ENGLISH COUNTRYSIDE IS A BIG SOURCE OF INSPIRATION TO YOUR DESIGNS AND PASSIONS? Absolutely! I am really lucky to live in a beautiful town full of medieval and Georgian buildings, with a river and a canal literally just on my doorstep, so there is always somewhere that can I can go for a walk and an explore. Being in the countryside means that I get to experience the seasons in more detail than if I was living in a built-up area. There are more trees to see changing from green to brown as the seasons shift and the leaves fall, wider areas of beautiful landscape to appreciate and just more nature, in general, to get close to. I love that plant dye colours seem to have something magical about them, which makes them all match and look beautiful together. There’s also a certain something about plant-dyed colours that just simply can’t be reproduced using modern day synthetic dyes. WHY DO YOU THINK SUSTAINABLE FASHION IS SO IMPORTANT? Studying fashion design and regularly visiting fabric shops made me think about how fabrics are made, what they are made from and what impact they have on the environment. We all know the damage that plastic micro beans have on our environment and how they end up in the food chain, but I recently learnt that fabric made from synthetic fibres that don’t biodegrade end up in our food chain too, because tiny – almost microscopic – pieces of the fibres break off each time the item of clothing is washed and end up in the sea. I’m not saying that we should only buy clothes and textiles made from natural fibres, as I think that’s quite hard to do, but I think being aware of how our choices can impact the environment is important. WHAT ARE THE LITTLE THINGS PARENTS CAN DO TO HELP THE ENVIRONMENT? I’ve been thinking about this a lot when it comes to choosing things for my baby. I think one of the most obvious things that parents could do is to use reusable nappies instead of disposable ones. I’ve decided to use nappies that are made from sustainable materials that biodegrade until my baby is a few months old when I will switch to reusable ones. I think it’s important that we don’t put too much pressure on ourselves to be the perfect ‘eco’ parent and waiting until a few months to switch to reusables felt like the right thing for me to do until I get into the swing of looking after a little human. I also plan to prepare food and snacks in advance at home, using reusable pots that we can take out with us rather than buying things in plastic disposable pots. When it comes to baby clothes, I’ve tried to buy things that are quality, stand up to lots of washing and will last a long time (hopefully being passed down to future children). I’ve also received a lot of second-hand clothes and toys from family and friends, which is great for the environment as it means things are being used more than once – rather than being thrown away. I’ve tried to limit the number of toys and books I’ve bought (people keep telling me that babies are quite happy with a spoon and a cardboard box) but they few toys that I have bought are wooden and FSC certified. All that being said, I think the most important thing that parents can do to help the environment is to teach our children about the impact that the choices we make have on our planet. WHAT DO YOU LOOK OUT FOR WHEN LOOKING FOR CLOTHES FOR YOURSELF AND YOUR FUTURE BUBBA? When looking for clothes and textiles for myself and my family I firstly look for pieces that are well made, classic, easy to care for and will last a long time. I also like to buy clothes made from natural fabrics where possible. These two blankets from Alex and Alexa are the perfect example of this. 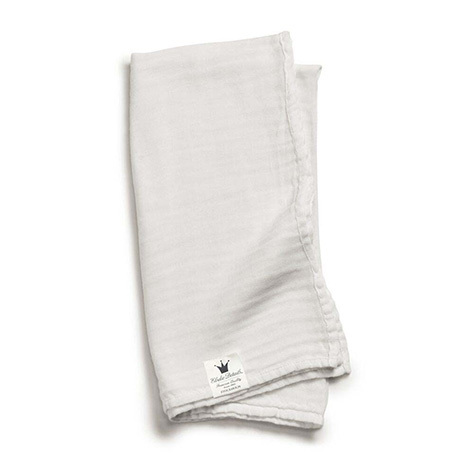 The Elodie muslin blanket is made from a bamboo and cotton mix, making it very soft so hopefully my baby will like it and we will get a lot of use out of it. The fabric is Oeko-Tex certified (which means that it is free from harmful substances) so that gets another big tick from me too. 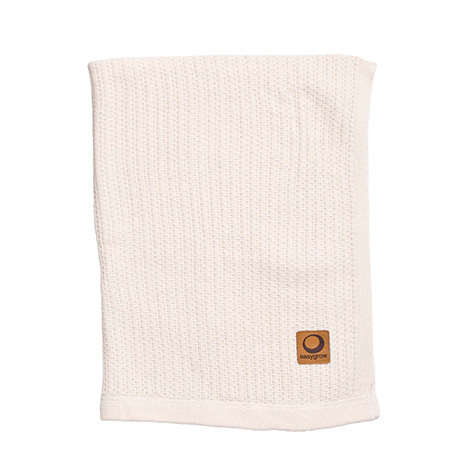 The other blanket, the knitted Easygrow is also Oeko-Tex certified, and is made from a mix of bamboo and wool so I’m planning on using that a lot in the cooler months. 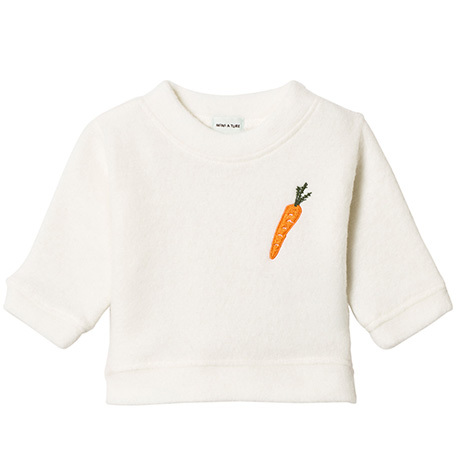 Another lovely piece I chose from Alex and Alexa is the carrot motif jumper, which I knew I had to have as soon as I saw it, as I’ve dyed some baby-grows green using carrot tops and it just seemed like the perfect match. 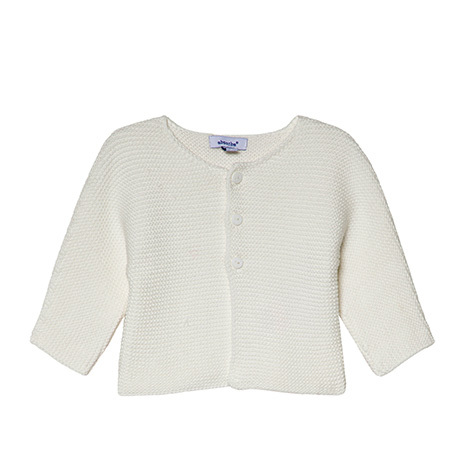 Another classic piece I chose was a simple white cotton cardigan, that I know will go with lots of other pieces I have and will become a staple piece in y babies wardrobe. Plus it another natural fibre (cotton) which is a bonus. WHAT WOULD YOU SAY TO SOMEONE WHO HAS ONLY DISCOVERED PLANT DYEING? My number one tip would be to remember that plant dyeing can be unpredictable, but that is half the fun. Every now and again I will make a batch of dye from a plant that I have used hundreds of times in the past and it comes out a completely different colour to what it has previously. Occasionally I can figure out why it is such a different colour but a lot of the time it remains a mystery. 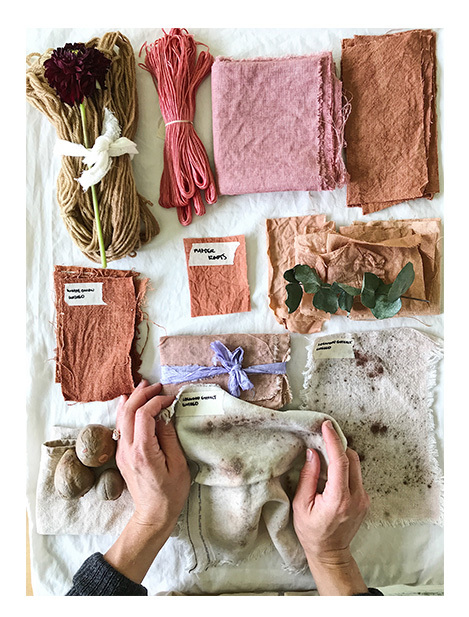 Because of the unpredictability of plant dyeing it is a really great idea to keep a plant dyeing record book, where you can attach a swatch of your dyed fabric along with notes on how the colour was made. That way, when you do get some unexpected surprises in your dye pot you can look back at your previous experiments and see if you can figure out the reason. I get a lot of people sending me messages on Instagram because they have tried dyeing with plants and are feeling disappointed with the results. It was messages like these that first gave me the idea to write ebooks to teach people the basics of plant dyeing and to help them create beautiful colours. The three main things for someone new to plant dyeing to know is that the fabric needs to be treated before it is dyed (I use soya milk), that the dyes should never, ever be allowed to boil (as this normally results in the dye turning a dull brown colour) and that once they are dyed, fabrics should be washed at a low temperature using a gentle, environmentally friendly laundry detergent. Some great plants to start with are bay leaves, avocado stones, pomegranate skins, stinging nettles, rosemary and dried turmeric or saffron, as all of these are fairly easy to extract the colour from and produce pretty much consistent results.